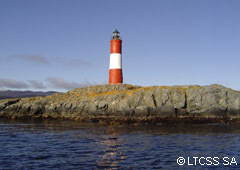 The City of Ushuaia represents the southernmost corner of the world. It is located on the shores of the Beagle Channel, at the southern tip of Tierra del Fuego Island, and surrounded by the Martial Mounts. Its superlative location allows you to enjoy sea, mountains and forests at the same time. Ushuaia is a young city. The city foundation was in October 12, 1884 when an argentine expedition arrived to establishing a sub-prefecture. However, some 300 Anglican missionaries of the South American Missionary Society already populated the area. They built the first houses and took care of evangelize the natives. 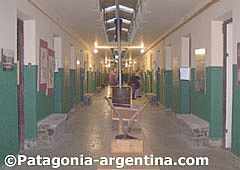 For Argentinean people Ushuaia began to be known in the early twentieth century when it was decided to build there a prison. 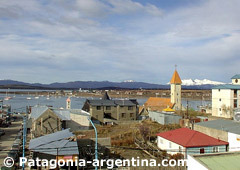 The prison of Ushuaia is part of the city’s history and the prisoners were the “first settlers”. The picturesque village suffered a sudden onset of population growth since the 1970’s, thanks to a special regime of industrial promotion. 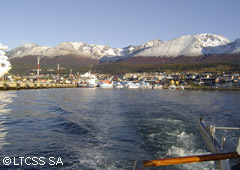 Today, Ushuaia is a tourist city with international airport and all necessary services. 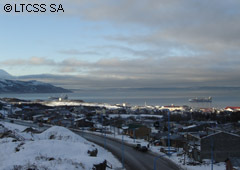 It is also a cruise port and the closest deepwater port to the Antarctic.